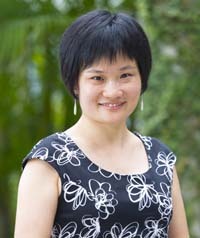 I am currently an associate professor in the Department of Computer Science at City University of Hong Kong. I received my BSc and MSc degrees from Nankai University in 1996 and 1999 respectively, and my Ph.D. degree from University of Texas at Dallas in 2003. Prior to joining CityU, I worked at Georgia Southern University and University of Mississippi as an assistant professor. My research interests include dependable networking, cloud computing, optical networking, service oriented networking, data center networks, integration of Fiber-Wireless networks, and network coding. I have been actively publishing papers in the prestigious journals (e.g., TON, JSAC, JLT, TMC, TPDS, TCOM, TMM, TC) and conferences (e.g., InfoCom, MobiCom, ICDCS, ICNP, RTSS, PerCom). My research has been supported by NSF (US), Hong Kong RGC GRF (formerly CERG), Google and Huawei. I am currently an associate editor of IEEE Communications Letters and an associate editor of Wiley's Security and Communication Networks (SCN) Journal.